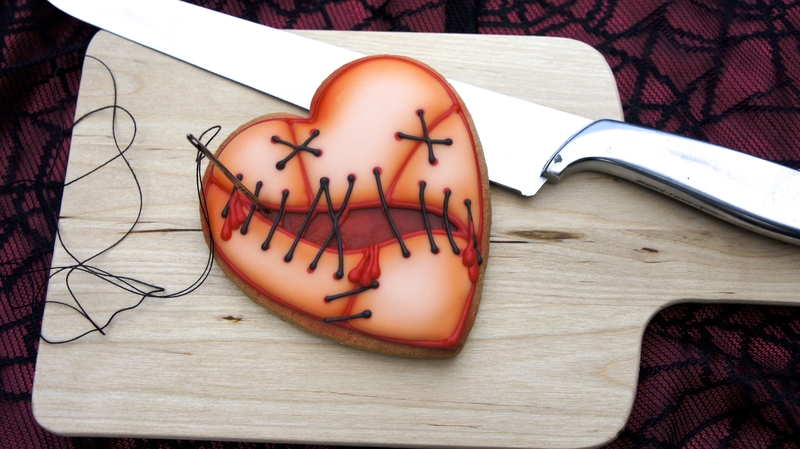 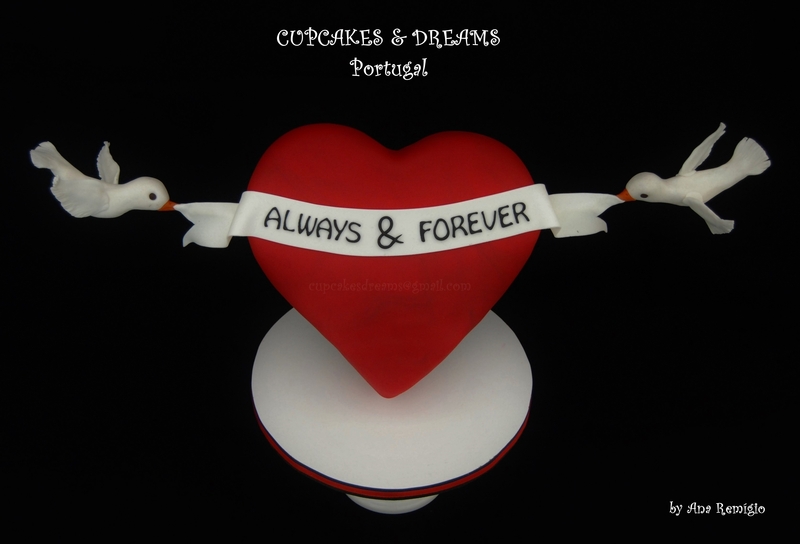 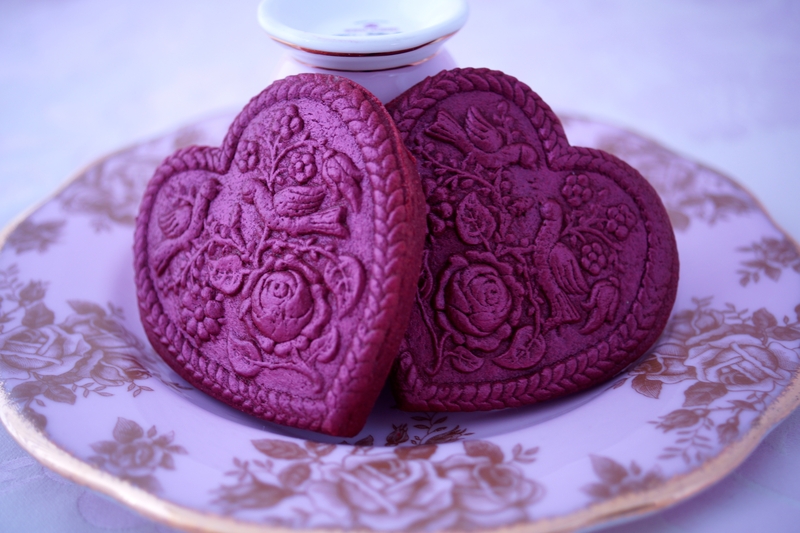 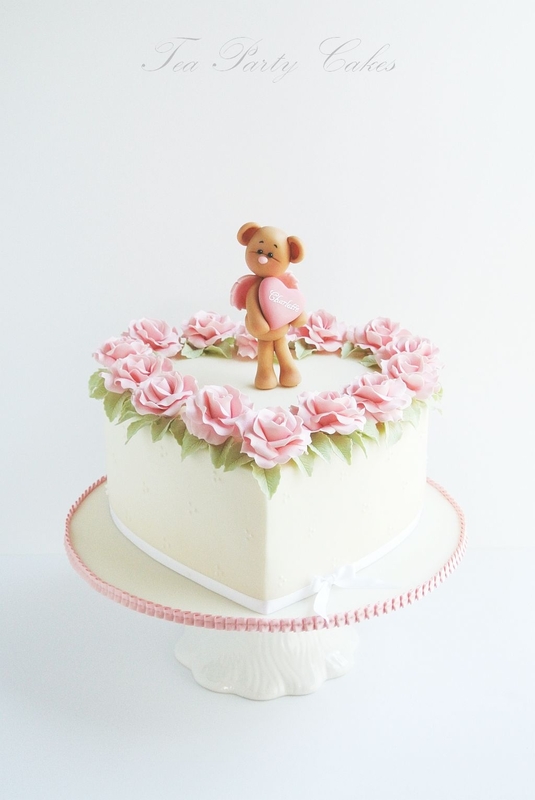 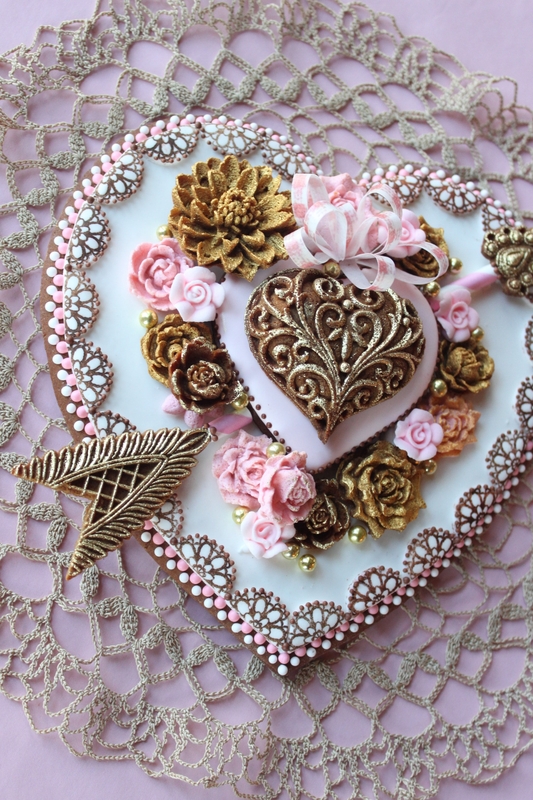 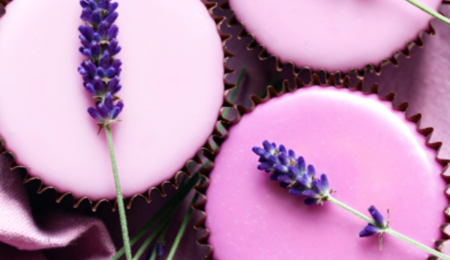 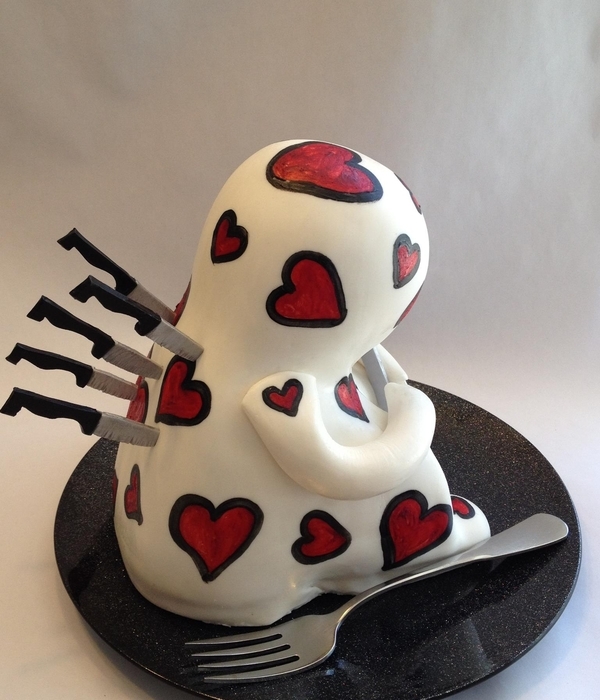 We've gathered the best Valentine cakes from the Cake Central gallery. 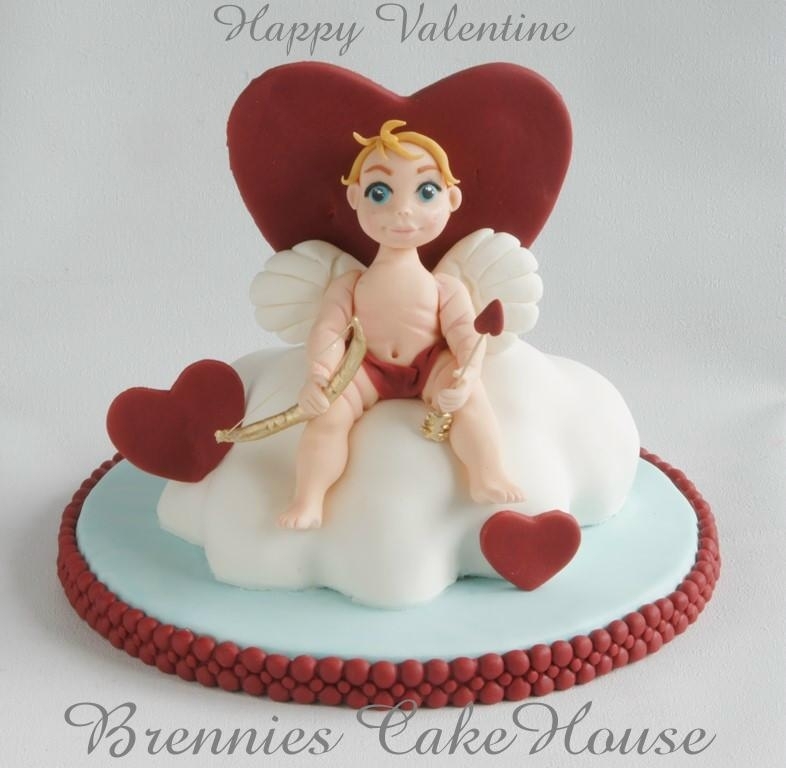 From sweet cherubs to classic red roses, and even a broken heart. 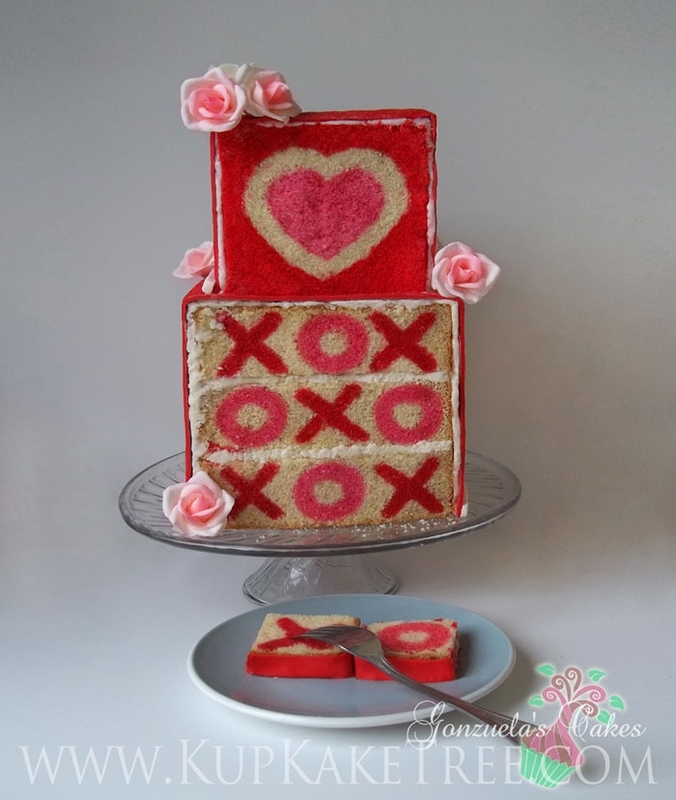 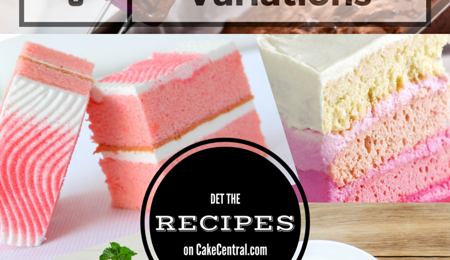 Find all the Valentine cake inspiration you'll need right here. 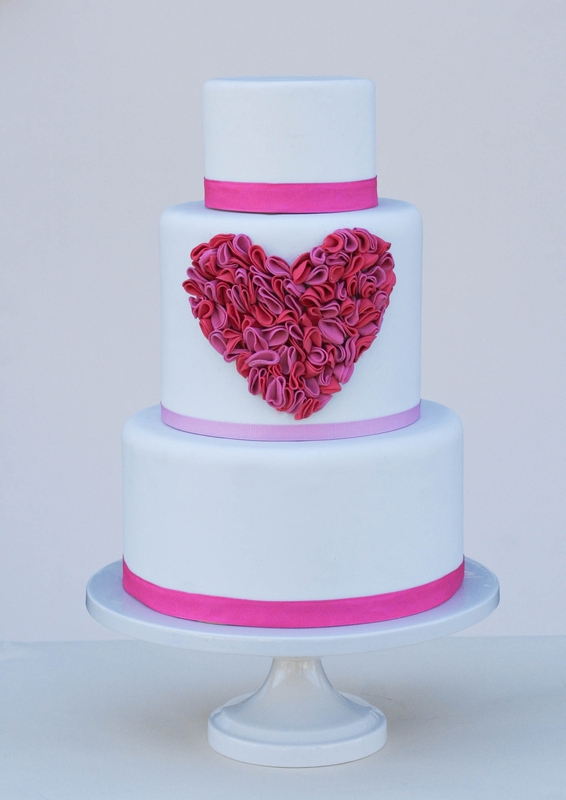 Red, pink and white M&M candies adorn the outside of this romantic Valentine's Day wedding cake. 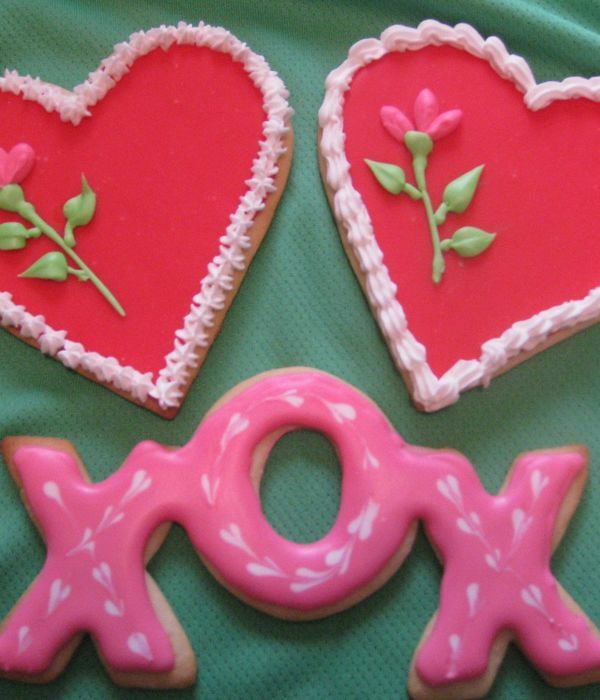 Here's a few of the cookies I've done for Valentine's Day. 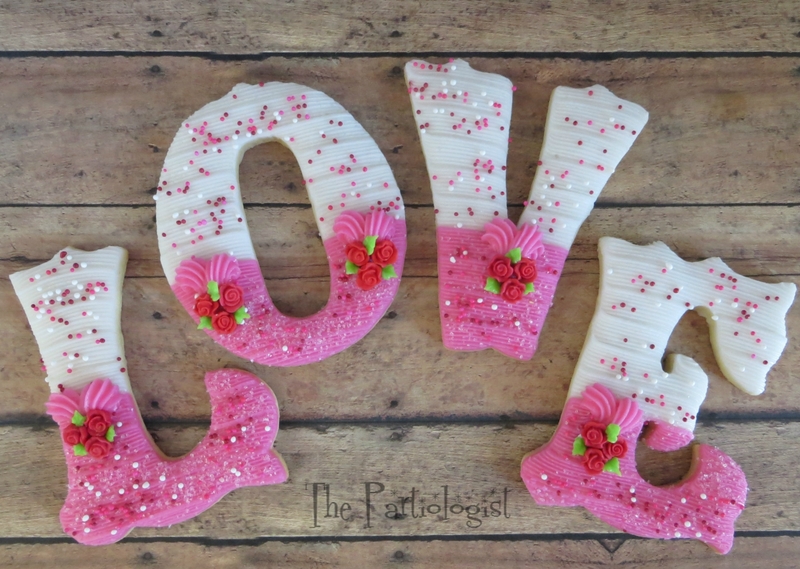 These are valentine's day sugar cookies decorated with pink and red royal icing. 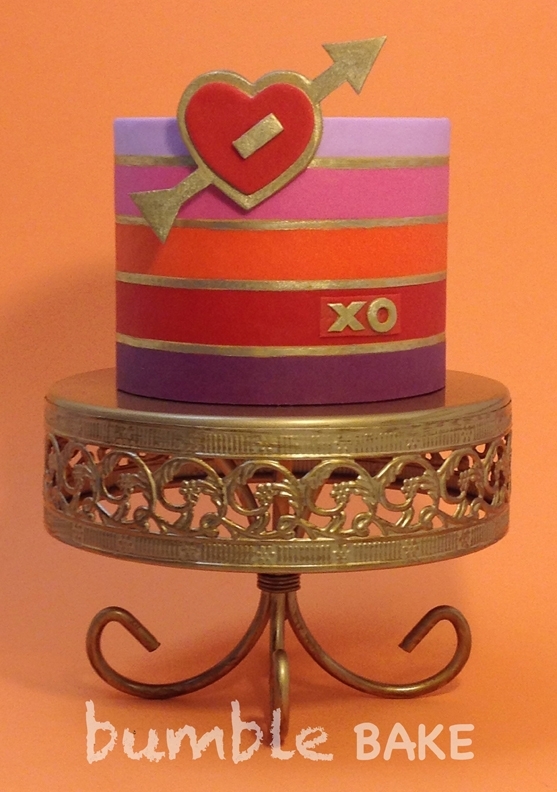 I made this for my coworkers for Valentine's Day. 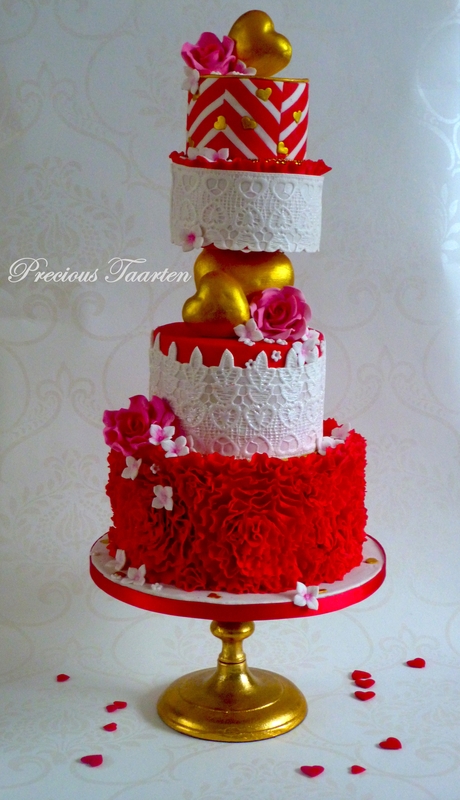 Buttercream cake with fondant draping and purchased bling. 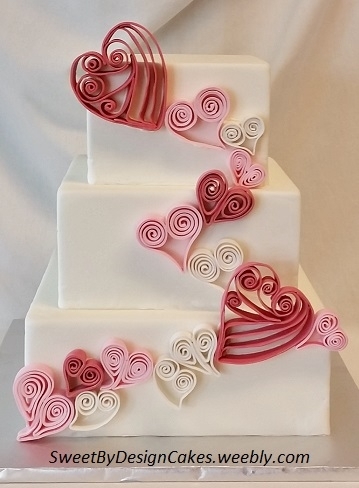 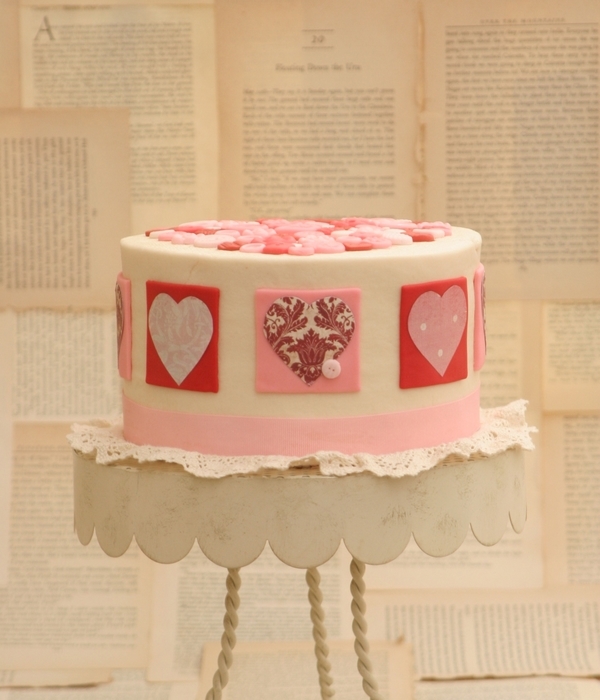 6, 8, and 10" square cake covered in fondant with white, pink, and dark pink quilled hearts for Valentine's Day. 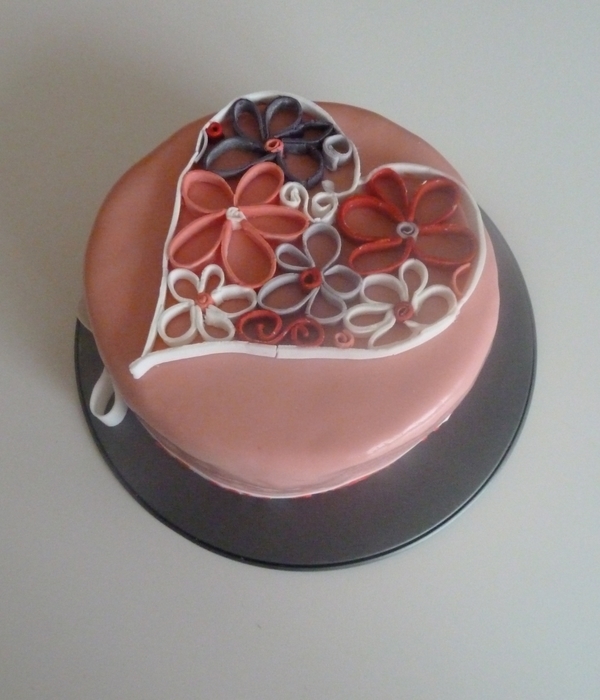 Zebra striped heart cake covered with fondant and sugar paste flowers. 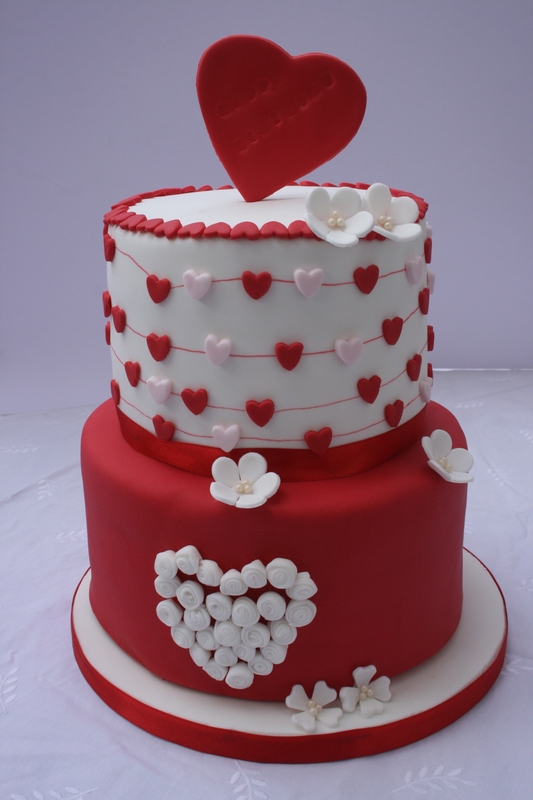 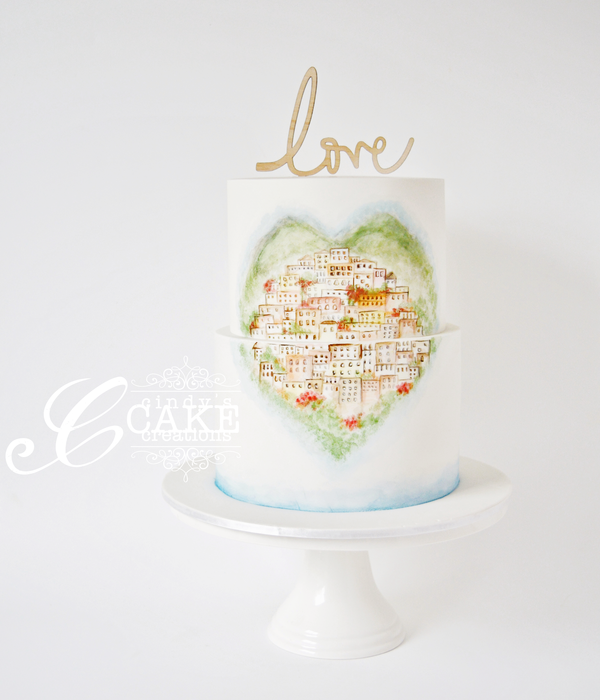 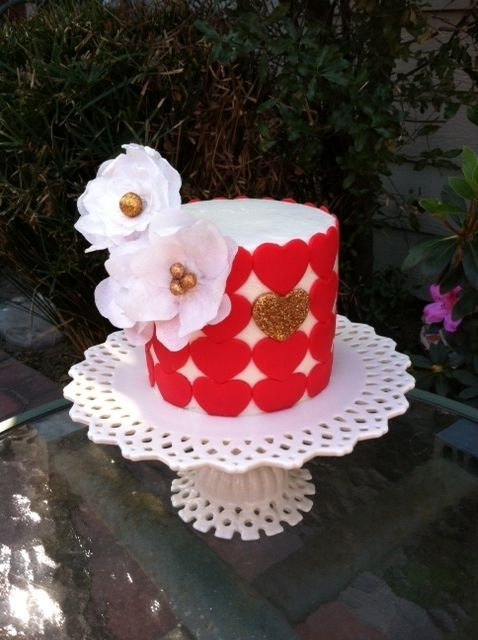 The top of this cake was inspired by a pillow I saw with buttons sewn on in the shape of a heart. 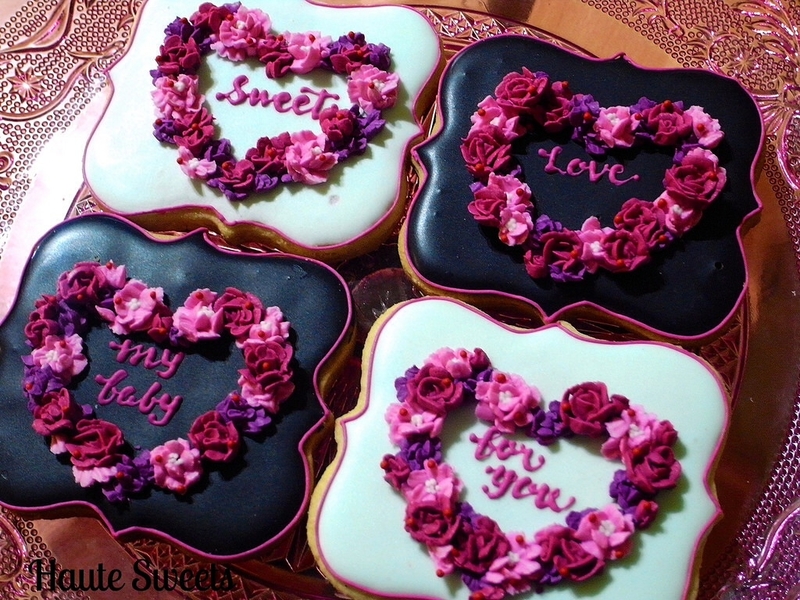 A red velvet cupcake topped with a Valentine Teddy..
LOVE cookies for Valentine's Day - design inspired by Salsa Sweets! 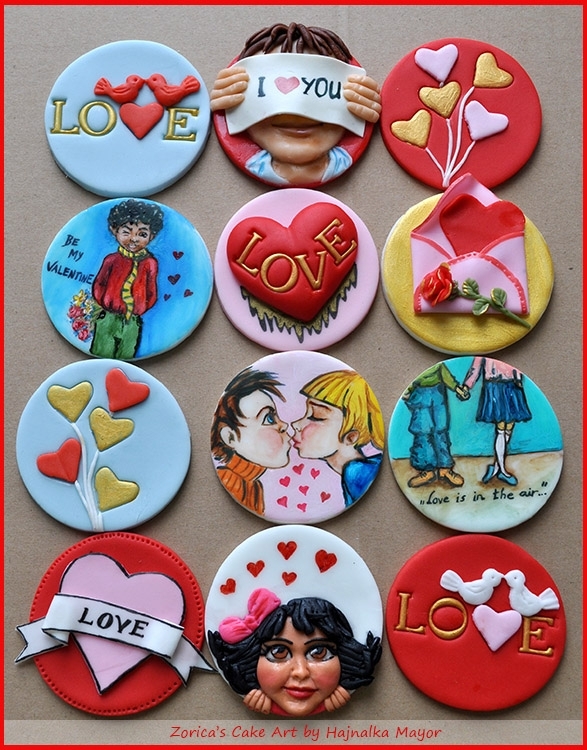 Valentine's cupcake toppers, hand shaped hand painted by me :) I hope you like them! 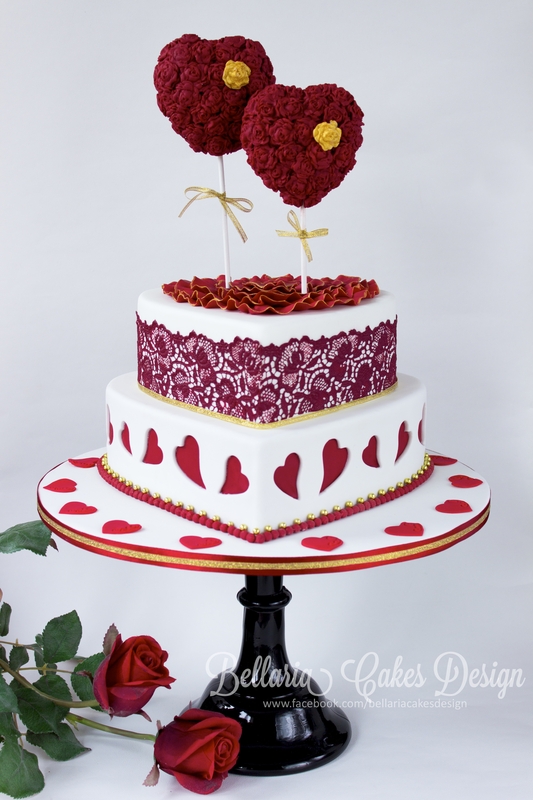 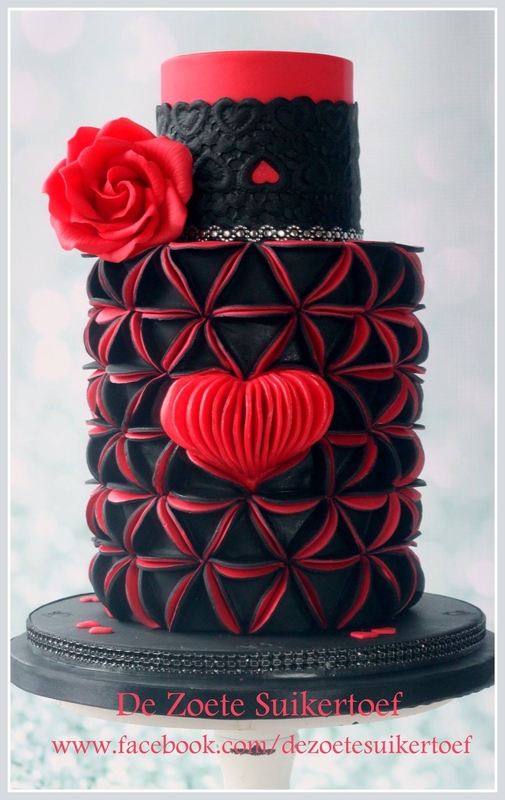 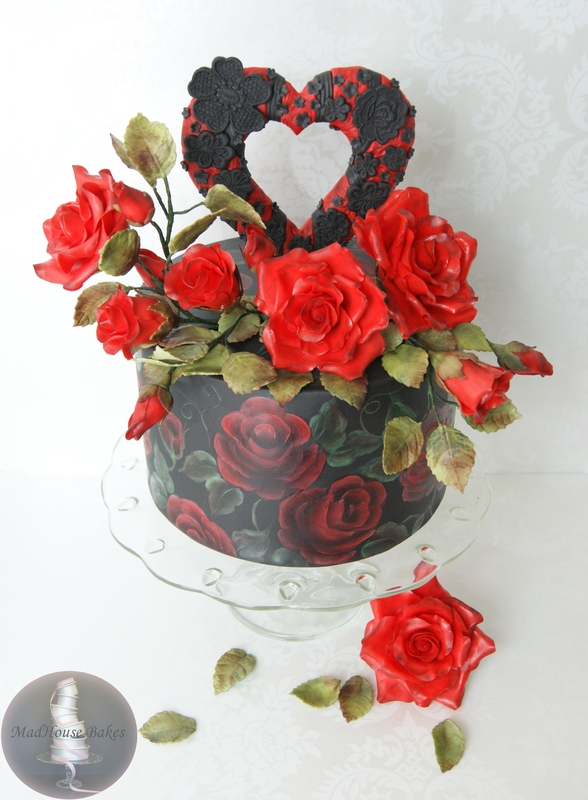 Black and red Valentine cake with sugar red rose. 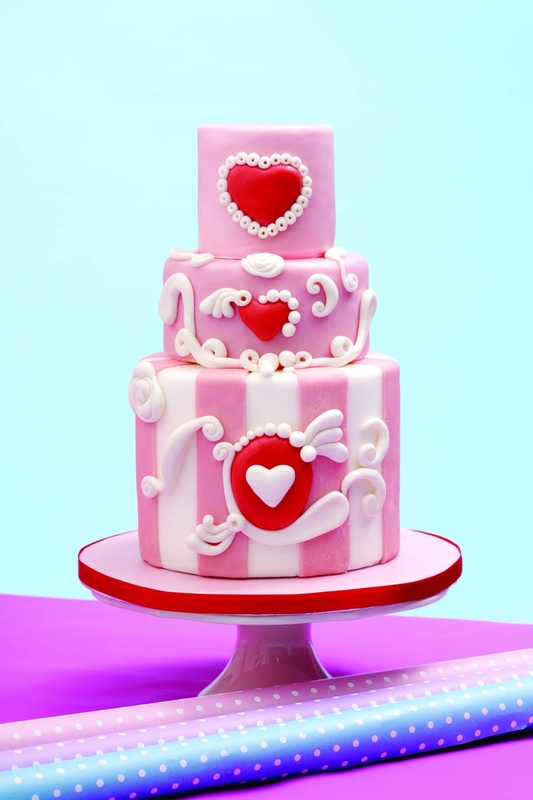 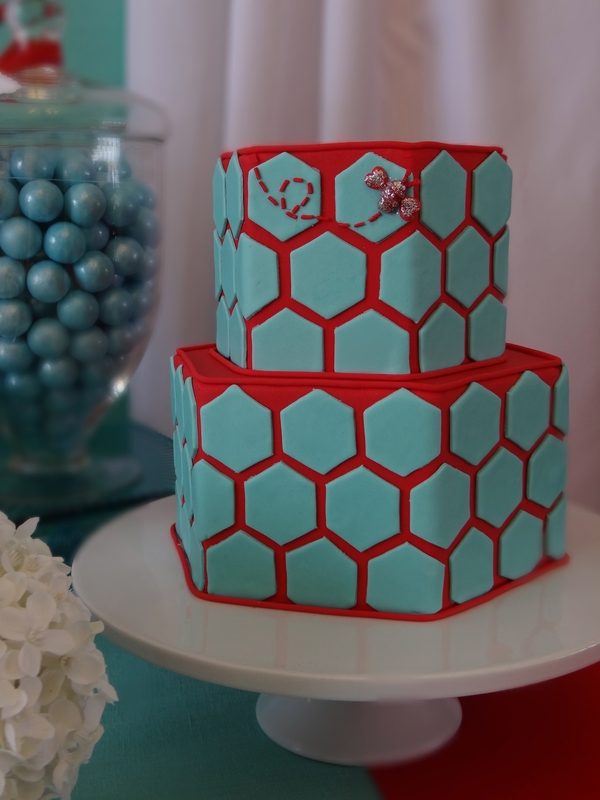 Made of fondant. 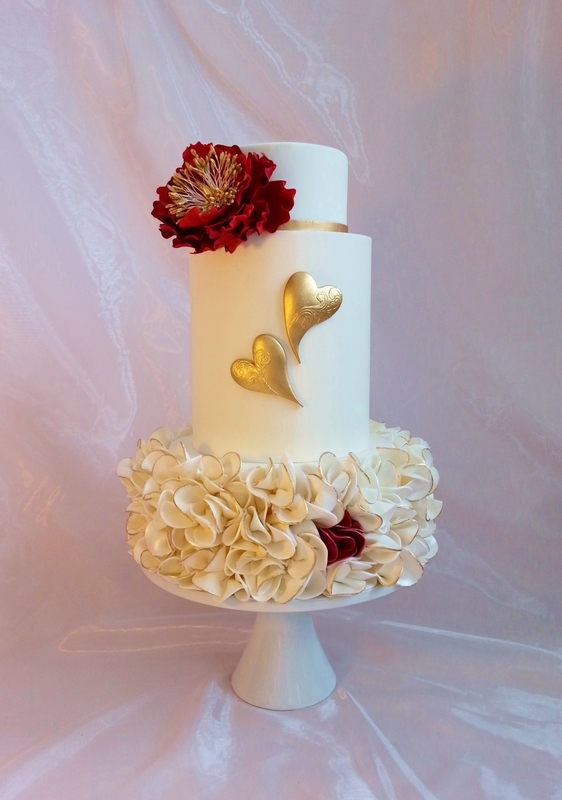 6" round with buttercream icing and fondant flowers and curls. 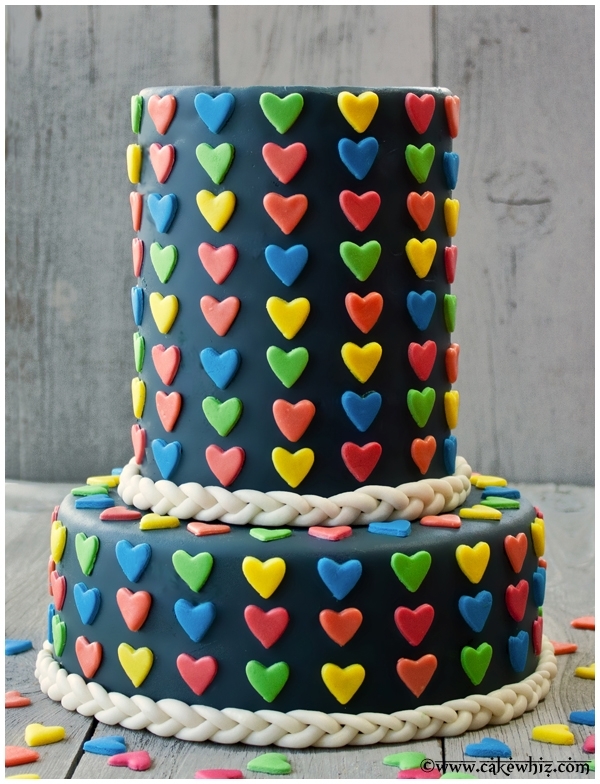 Many thanks to pippilotta for the idea. 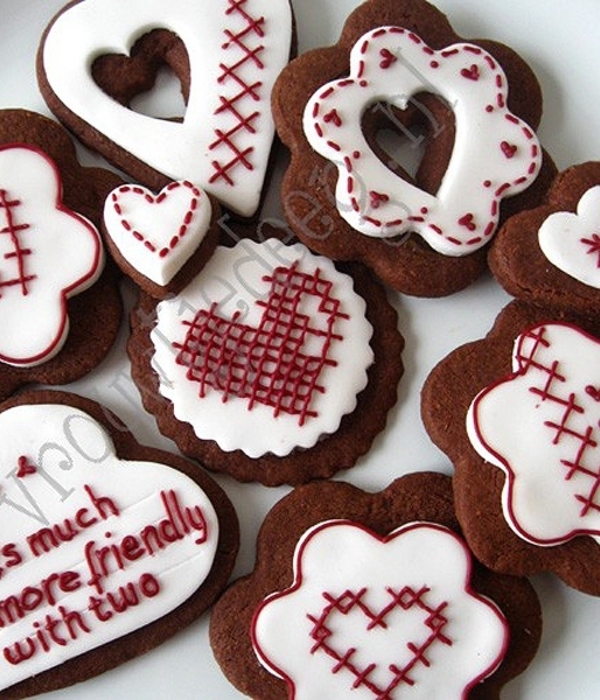 Mostly embossed cookies (on an iced cookie) with some rubber-stamped accents. 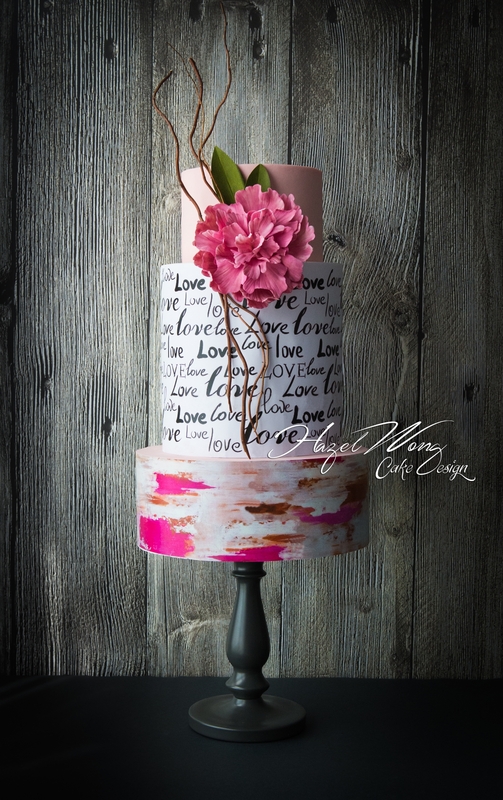 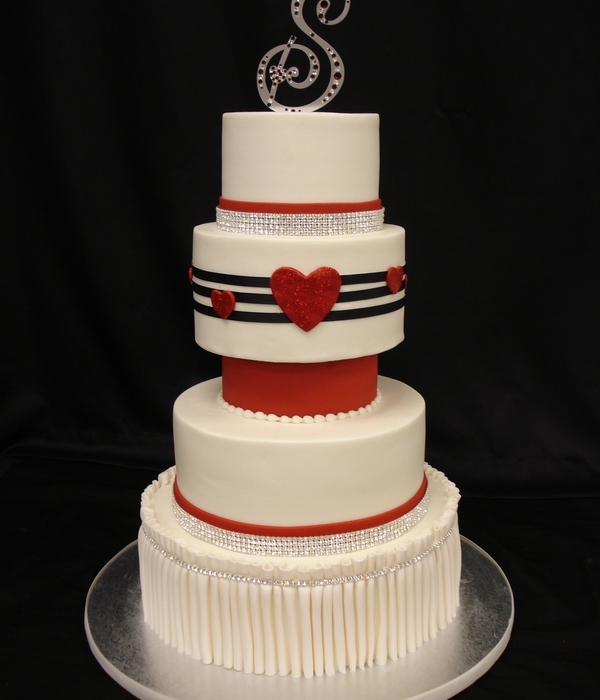 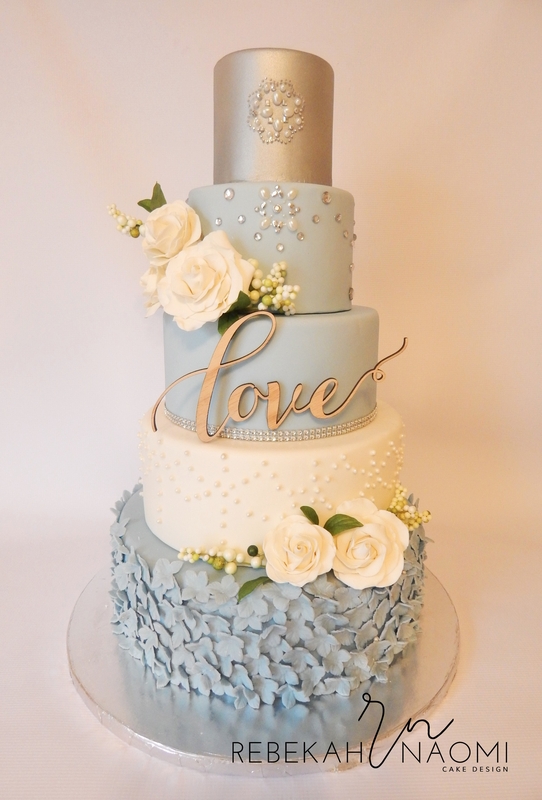 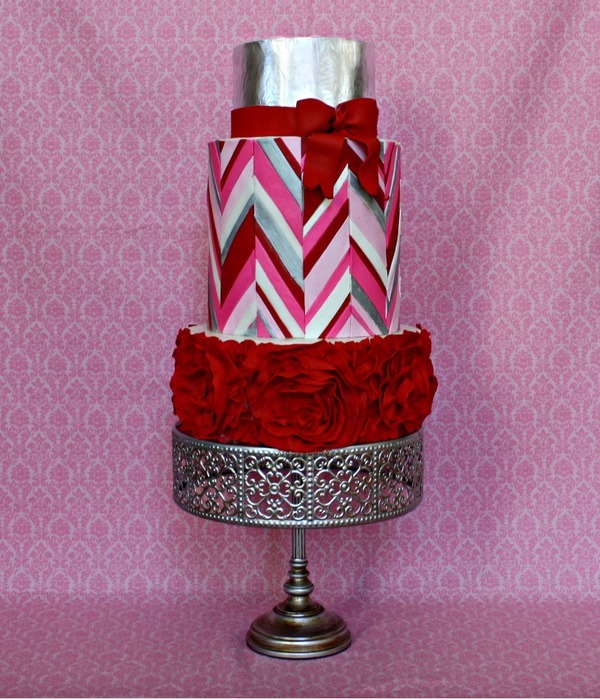 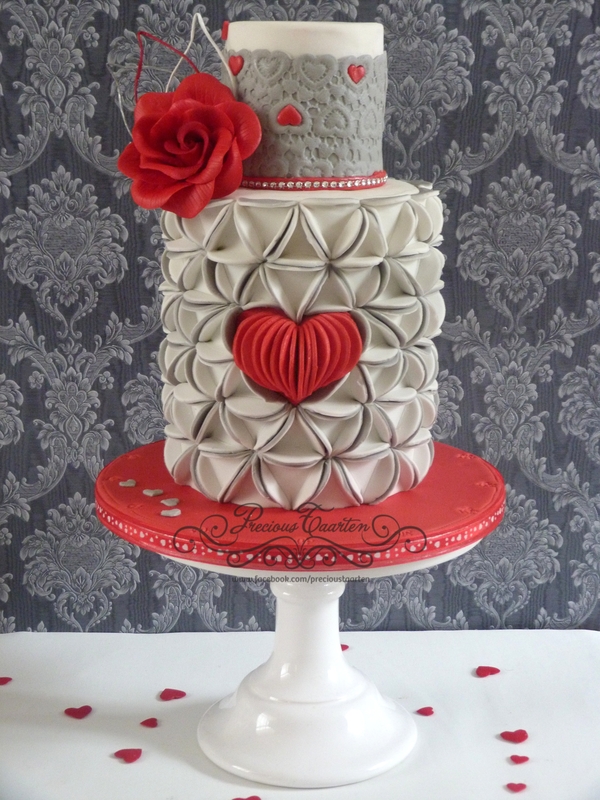 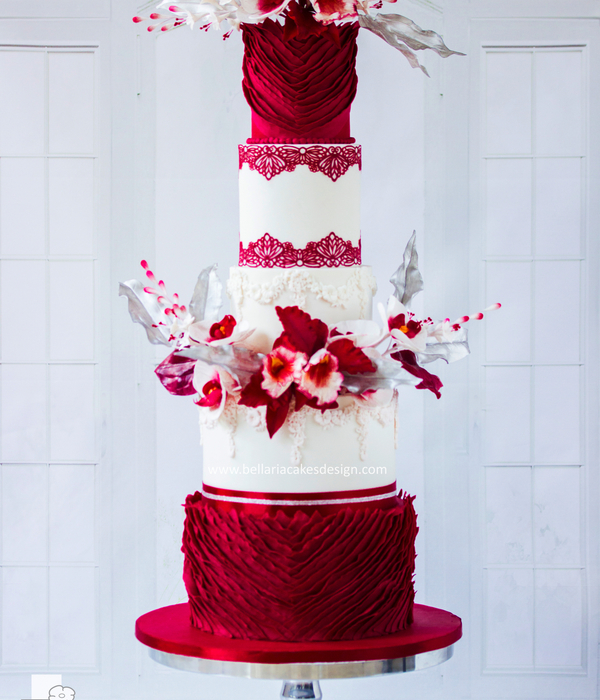 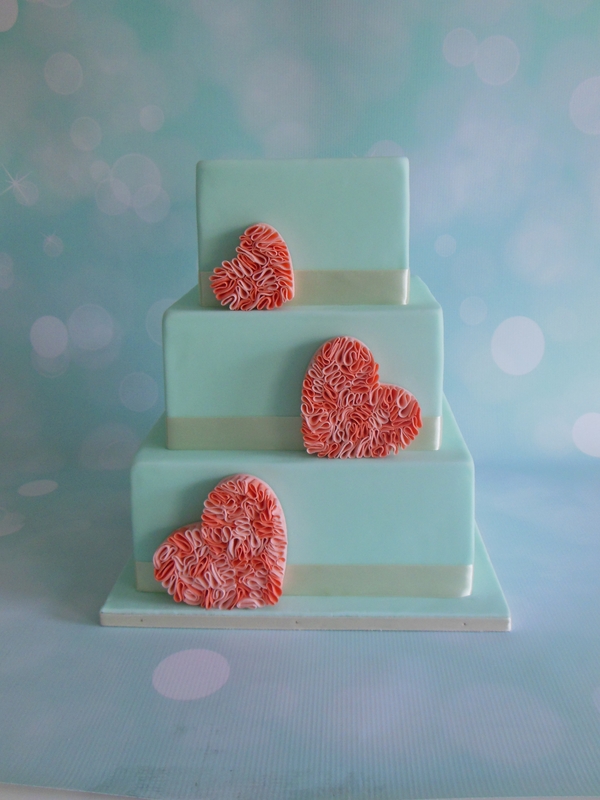 Hold My Hand, Hold My Heart..
Rose ruffles on bottom tier, offset chevrons on the middle tier, and silver leaf on the top! 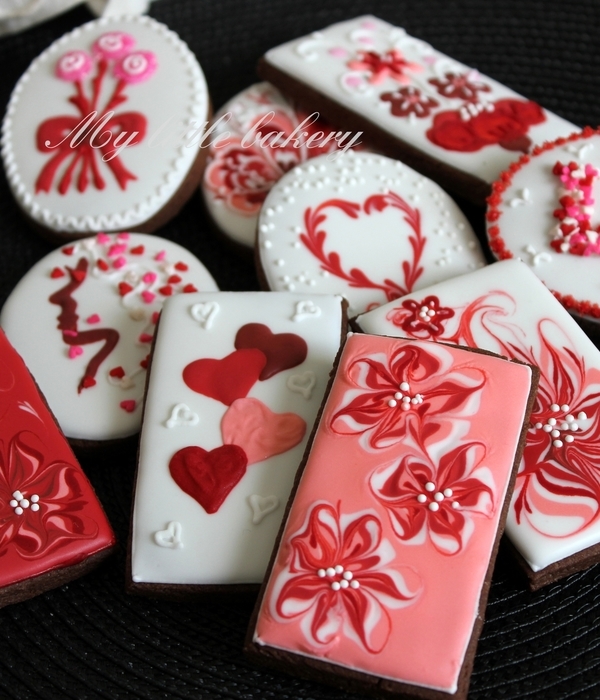 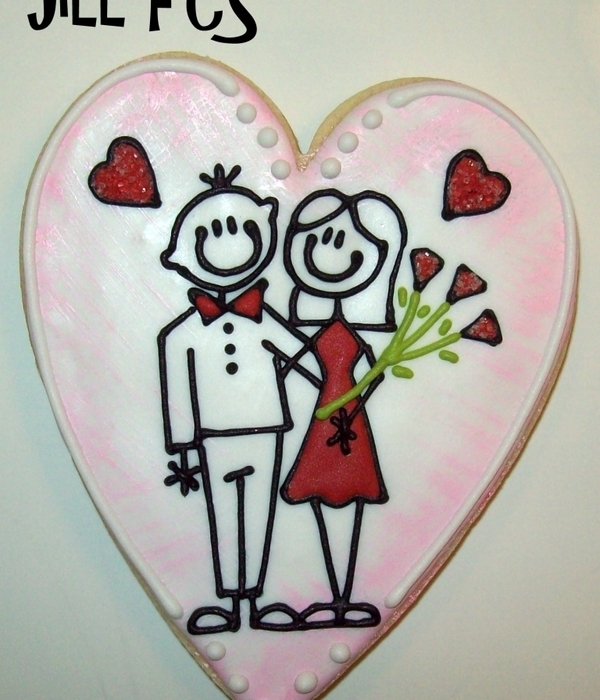 Valentine's cookie for the broken hearted - Royal icing with airbrushed detail, tutorial available. 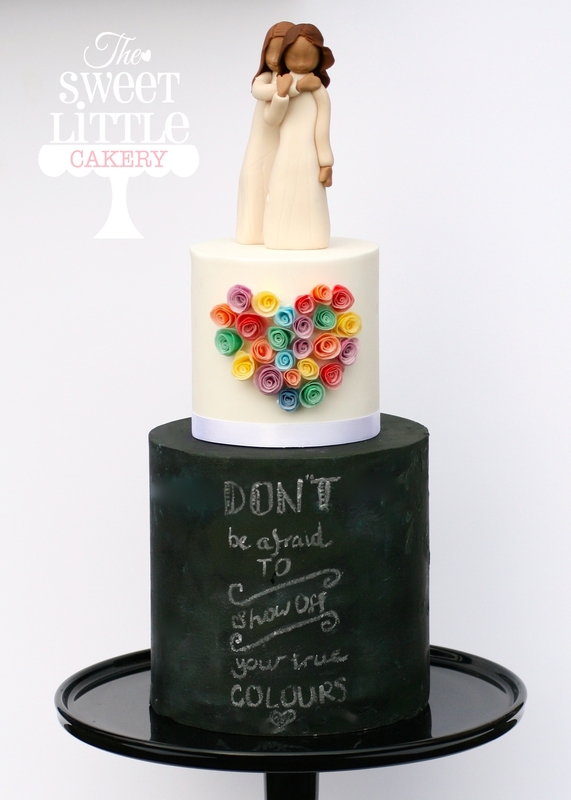 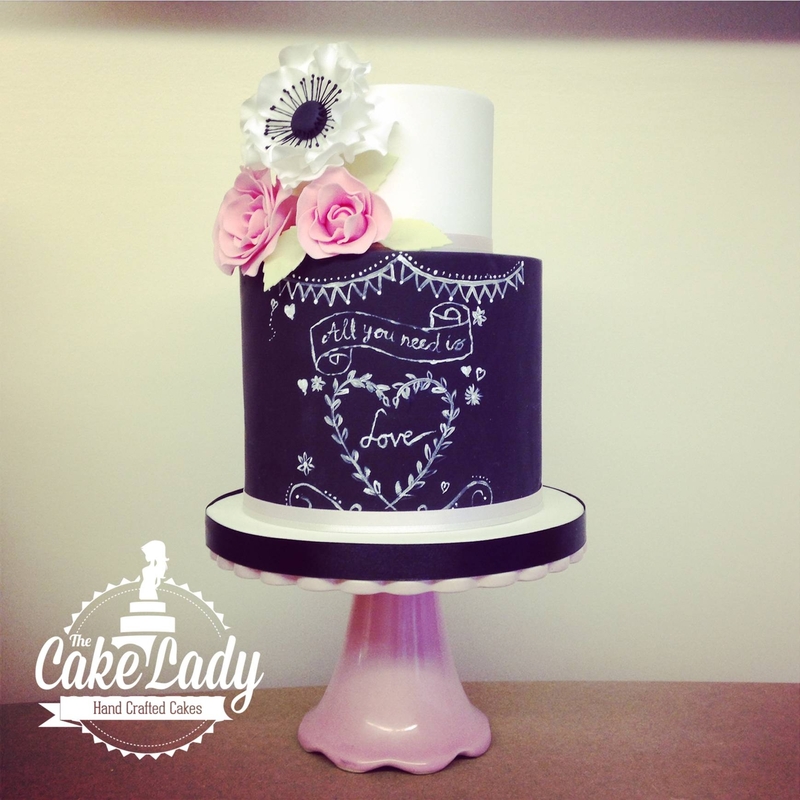 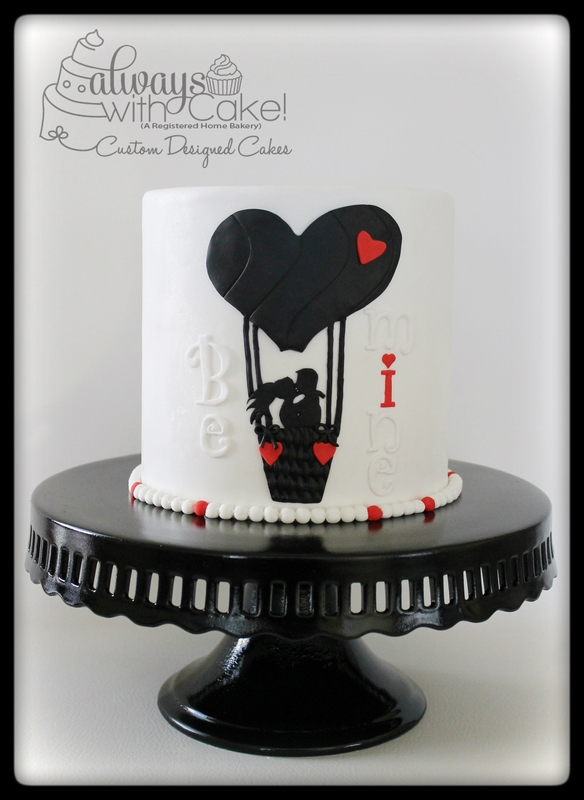 A two tiered chalkboard wedding cake design. 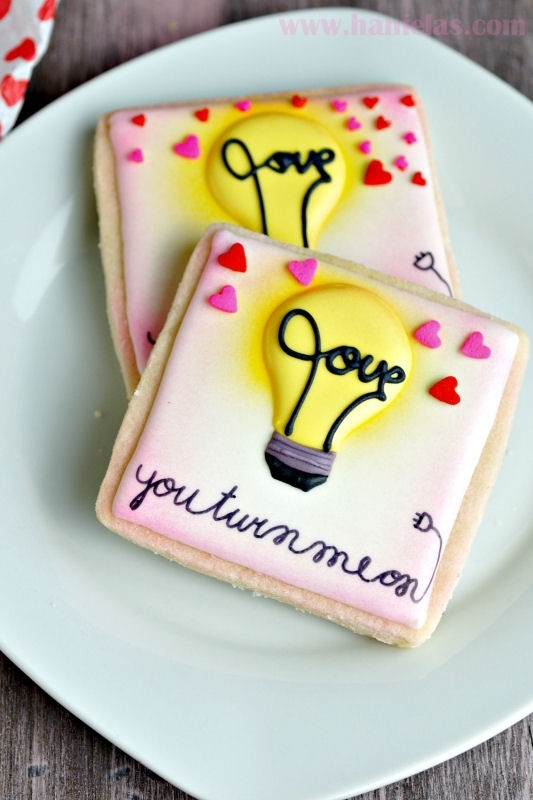 Thanks for including my cookie Valentine! 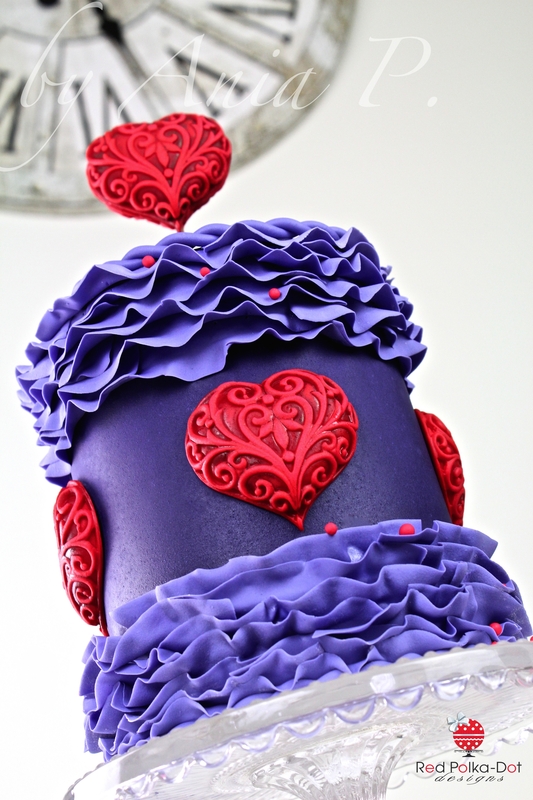 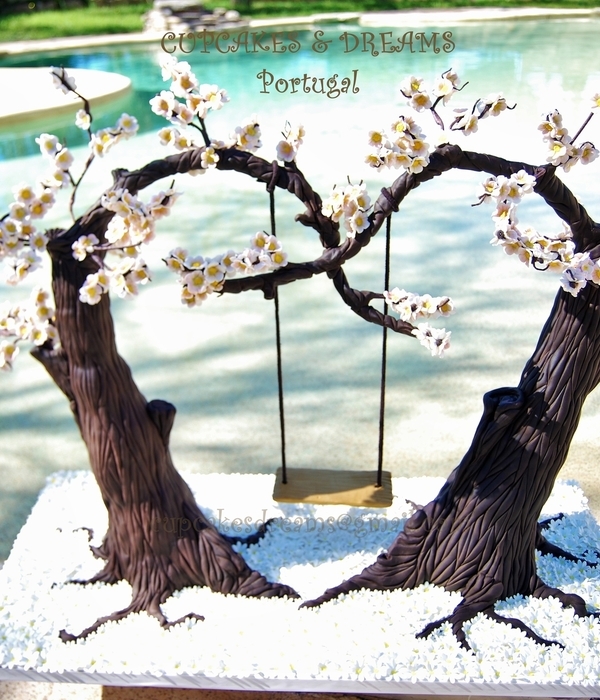 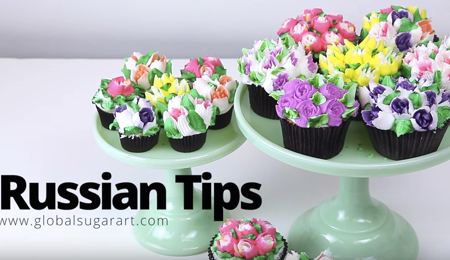 Thank you, so much, for featuring a cake of mine! 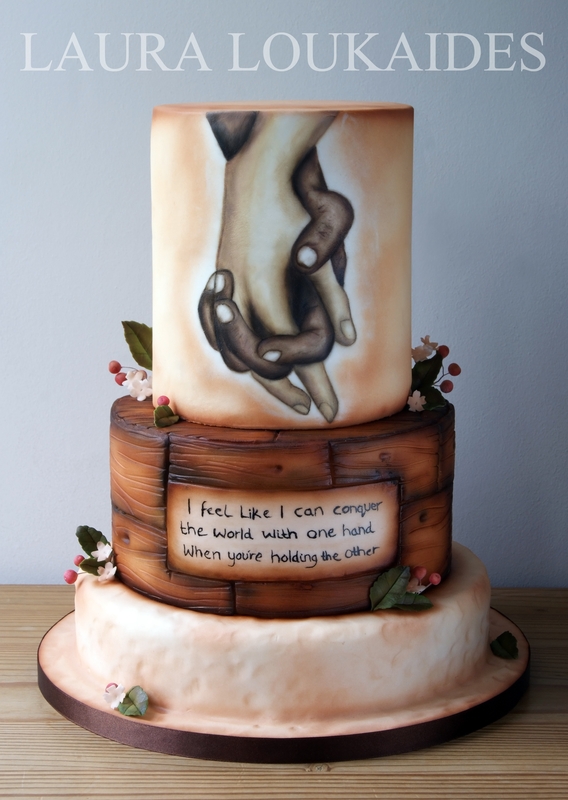 I am still in awe!